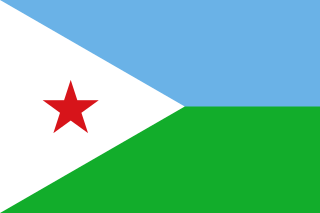 Djibouti is a country in the Horn of Africa. It is bordered by Somalia to the southeast, Eritrea and the Red Sea to the north and northeast, Ethiopia to the west and south, and the Gulf of Aden to the east. In antiquity, the territory was part of the Land of Punt. The Djibouti area, along with other localities in the Horn region, was later the seat of the medieval Adal and Ifat Sultanates. In the late 19th century, the colony of French Somaliland was established following treaties signed by the ruling Somali and Afar Sultans with the French. It was subsequently renamed to the French Territory of the Afars and the Issas in 1967. A decade later, the Djiboutian people voted for independence, officially marking the establishment of the Republic of Djibouti. The Djibouti area has been inhabited since at least the Neolithic. Pottery predating the mid-2nd millennium BC has been found at Asa Koma, an inland lake area on the Gobaad Plain. The site's ware is characterized by punctate and incision geometric designs, which bear a similarity to the Sabir culture phase 1 ceramics from Ma'layba in Southern Arabia. Long-horned humpless cattle bones have also been discovered at Asa Koma, suggesting that domesticated cattle was present by around 3,500 years ago. Rock art of what appear to be antelopes and a giraffe are likewise found at Dorra and Balho. A team of archaeologists discovered funds stone houses, the walls of a rectangular edifice with orienteer recess to Mecca. They have also updated shards of ceramics, chipped stone tools and a glass bead. The oldest engravings discovered to date are from the fourth or third millennium BC in the pre-Islamic period, the most famous is the site of Handoga there where the ruins of a village squares subcircular dry stone delivered different objects. [clarification needed] An old settlement, Handoga is the site of numerous ancient ruins and buildings, many of obscure origins, including ceramic shards, matching vases used brazier[clarification needed], containers that can hold water, several choppers and microliths, blades, drills, trenchers basalt, rhyolite or obsidian. A team of archaeologists discovered an elephant 1.6 million years BC near the area. They also found a pearl orange coralline, three glass paste[clarification needed], but there were no metal objects discovered. Egyptian marines from Queen Hatshepsut's Year 9 expedition to the Land of Punt, as depicted on her temple at Deir el-Bahri. Between Djibouti City and Loyada are a number of anthropomorphic and phallic stelae. The structures are associated with graves of rectangular shape flanked by vertical slabs, as also found in central Ethiopia. The Djibouti-Loyada stelae are of uncertain age, and some of them are adorned with a T-shaped symbol. Together with northern Somalia, Eritrea and the Red Sea coast of Sudan, Djibouti is considered the most likely location of the land known to the ancient Egyptians as Punt (or "Ta Netjeru", meaning "God's Land"). The old territory's first mention dates to the 25th century BC. The Puntites were a nation of people that had close relations with Ancient Egypt during the times of Pharaoh Sahure of the fifth dynasty and Queen Hatshepsut of the eighteenth dynasty. They "traded not only in their own produce of incense, ebony and short-horned cattle, but also in goods from other neighbouring regions, including gold, ivory and animal skins." According to the temple reliefs at Deir el-Bahari, the Land of Punt at the time of Hatshepsut was ruled by King Parahu and Queen Ati. The Sultan of Adal (right) and his troops battling King Yagbea-Sion and his men. Islam was introduced to the area early on from the Arabian peninsula, shortly after the hijra. Zeila's two-mihrab Masjid al-Qiblatayn dates to the 7th century, and is the oldest mosque in the city. In the late 9th century, Al-Yaqubi wrote that Muslims were living along the northern Horn seaboard. He also mentioned that the Adal kingdom had its capital in Zeila, a port city in the northwestern Awdal region abutting Djibouti. This suggests that the Adal Sultanate with Zeila as its headquarters dates back to at least the 9th or 10th century. According to I.M. Lewis, the polity was governed by local dynasties consisting of Somalized Arabs or Arabized Somalis, who also ruled over the similarly-established Sultanate of Mogadishu in the Benadir region to the south. Adal's history from this founding period forth would be characterized by a succession of battles with neighbouring Abyssinia. At its height, the Adal kingdom controlled large parts of modern-day Djibouti, Somalia, Eritrea and Ethiopia. The Ifat Sultanate was a medieval kingdom in the Horn of Africa. Founded in 1285 by the Walashma dynasty, it was centered in Zeila. Ifat established bases in Djibouti and northern Somalia, and from there expanded southward to the Ahmar Mountains. Its Sultan Umar Walashma (or his son Ali, according to another source) is recorded as having conquered the Sultanate of Shewa in 1285. Taddesse Tamrat explains Sultan Umar's military expedition as an effort to consolidate the Muslim territories in the Horn, in much the same way as Emperor Yekuno Amlak was attempting to unite the Christian territories in the highlands during the same period. These two states inevitably came into conflict over Shewa and territories further south. A lengthy war ensued, but the Muslim sultanates of the time were not strongly unified. Ifat was finally defeated by Emperor Amda Seyon I of Ethiopia in 1332, and withdrew from Shewa. Governor Abou Baker ordered the Egyptian garrison at Sagallo to retire to Zeila. The cruiser Seignelay reached Sagallo shortly after the Egyptians had departed. French troops occupied the fort despite protests from the British Agent in Aden, Major Frederick Mercer Hunter, who dispatched troops to safeguard British and Egyptian interests in Zeila and prevent further extension of French influence in that direction. On the 14 April 1884 the Commander of the patrol sloop L’Inferent reported on the Egyptian occupation in the Gulf of Tadjoura. The Commander of the patrol sloop Le Vaudreuil reported that the Egyptians were occupying the interior between Obock and Tadjoura. Emperor Johannes IV of Ethiopia signed an accord with the United Kingdom to cease fighting the Egyptians and to allow the evacuation of Egyptian forces from Ethiopia and the Somali Coast ports. The Egyptian garrison was withdrawn from Tadjoura. Léonce Lagarde deployed a patrol sloop to Tadjoura the following night. It was Rochet d'Hericourt's exploration into Shoa (1839–42) that marked the beginning of French interest in the Djiboutian coast of the Red Sea. 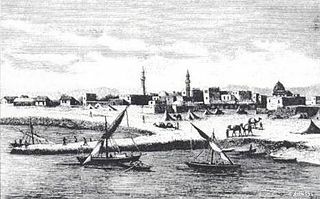 Further exploration by Henri Lambert, French Consular Agent at Aden, and Captain Fleuriot de Langle led to a treaty of friendship and assistance between France and the sultans of Raheita, Tadjoura, and Gobaad, from whom the French purchased the anchorage of Obock in 1862. Growing French interest in the area took place against a backdrop of British activity in Egypt and the opening of the Suez Canal in 1869. Between 1883-87, France signed various treaties with the then ruling Somali and Afar Sultans, which allowed it to expand the protectorate to include the Gulf of Tadjoura. Léonce Lagarde was subsequently installed as the protectorate's governor. In 1894, he established a permanent French administration in the city of Djibouti and named the region Côte française des Somalis (French Somaliland), a name which continued until 1967. The territory's border with Ethiopia, marked out in 1897 by France and Emperor Menelik II of Ethiopia, was later reaffirmed by agreements with Emperor Haile Selassie I of Ethiopia in 1945 and 1954. In 1889, a Russian by the name of Nikolay Ivanovitch Achinov (b. 1856), arrived with settlers, infantry and an Orthodox priest to Sagallo on the Gulf of Tadjoura. The French considered the presence of the Russians as a violation of their territorial rights and dispatched two gunboats. The Russians were bombarded and after some loss of life, surrendered. The colonists were deported to Odessa and the dream of Russian expansion in East Africa came to an end in less than one year. The administrative capital was moved from Obock in 1896. The city of Djibouti, which had a harbor with good access that attracted trade caravans crossing East Africa, became the new administrative capital. The Franco-Ethiopian railway, linking Djibouti to the heart of Ethiopia, began in 1897 and reached Addis Ababa in June 1917, increasing the volume of trade passing through the port. After the Italian invasion and occupation of Ethiopia in the mid-1930s, constant border skirmishes occurred between French forces in French Somaliland and Italian forces in Italian East Africa. In June 1940, during the early stages of World War II, France fell and the colony was then ruled by the pro-Axis Vichy (French) government. British and Commonwealth forces fought the neighboring Italians during the East African Campaign. In 1941, the Italians were defeated and the Vichy forces in French Somaliland were isolated. The Vichy French administration continued to hold out in the colony for over a year after the Italian collapse. In response, the British blockaded the port of Djibouti City but it could not prevent local French from providing information on the passing ship convoys. In 1942, about 4,000 British troops occupied the city. A local battalion from French Somaliland participated in the Liberation of Paris in 1944. In 1958, on the eve of neighboring Somalia's independence in 1960, a referendum was held in Djibouti to decide whether or not to join the Somali Republic or to remain with France. The referendum turned out in favour of a continued association with France, partly due to a combined yes vote by the sizable Afar ethnic group and resident Europeans. There were also reports of widespread vote rigging, with the French expelling thousands of Somalis before the referendum reached the polls. The majority of those who voted no were Somalis who were strongly in favour of joining a united Somalia as had been proposed by Mahmoud Harbi, Vice President of the Government Council. Harbi died in a plane crash two years later under mysterious circumstances. In 1960, with the fall of the ruling Dini administration, Ali Aref Bourhan, a Harbist politician, assumed the seat of Vice President of the Government Council of French Somaliland, representing the UNI party. He would hold that position until 1966. That same year, France rejected the United Nations' recommendation that it should grant French Somaliland independence. In August, an official visit to the territory by then French President, General Charles de Gaulle, was also met with demonstrations and rioting. In response to the protests, de Gaulle ordered another referendum. On 19 March 1967, a second plebiscite was held to determine the fate of the territory. Initial results supported a continued but looser relationship with France. Voting was also divided along ethnic lines, with the resident Somalis generally voting for independence, with the goal of eventual reunion with Somalia, and the Afars largely opting to remain associated with France. However, the referendum was again marred by reports of vote rigging on the part of the French authorities, with some 10,000 Somalis deported under the pretext that they did not have valid identity cards. According to official figures, although the territory was at the time inhabited by 58,240 Somali and 48,270 Afar, only 14,689 Somali were allowed to register to vote versus 22,004 Afar. Somali representatives also charged that the French had simultaneously imported thousands of Afar nomads from neighboring Ethiopia to further tip the odds in their favor, but the French authorities denied this, suggesting that Afars already greatly outnumbered Somalis on the voting lists. Announcement of the plebiscite results sparked civil unrest, including several deaths. France also increased its military force along the frontier. In 1967, shortly after the second referendum was held, the former Côte française des Somalis (French Somaliland) was renamed to Territoire français des Afars et des Issas. This was both in acknowledgement of the large Afar constituency and to downplay the significance of the Somali composition (the Issa being a Somali sub-clan). The French Territory of Afars and Issas also differed from French Somaliland in terms of government structure, as the position of Governor General changed to that of High Commissioner. A nine-member council of government was also implemented. With a steadily enlarging Somali population, the likelihood of a third referendum appearing successful had grown even more dim. The prohibitive cost of maintaining the colony, France's last outpost on the continent, was another factor that compelled observers to doubt that the French would attempt to hold on to the territory. On June 27, 1977, a third vote took place. A landslide 98.8% of the electorate supported disengagement from France, officially marking Djibouti's independence. Hassan Gouled Aptidon, a Somali politician who had campaigned for a yes vote in the referendum of 1958, eventually became the nation's first president (1977–1999). In 1981, Aptidon turned the country into a one party state by declaring that his party, the Rassemblement Populaire pour le Progrès (RPP) (People's Rally for Progress), was the sole legal one. A civil war broke out in 1991, between the government and a predominantly Afar rebel group, the Front for the Restoration of Unity and Democracy (FRUD). The FRUD signed a peace accord with the government in December 1994, ending the conflict. Two FRUD members were made cabinet members, and in the presidential elections of 1999 the FRUD campaigned in support of the RPP. Aptidon resigned as president 1999, at the age of 83, after being elected to a fifth term in 1997. His successor was his nephew, Ismail Omar Guelleh. On May 12, 2001, President Ismail Omar Guelleh presided over the signing of what is termed the final peace accord officially ending the decade-long civil war between the government and the armed faction of the FRUD, led by Ahmed Dini Ahmed, an Afar nationalist and former Gouled political ally. The peace accord successfully completed the peace process begun on February 7, 2000 in Paris. Ahmed Dini Ahmed represented the FRUD. In the presidential election held April 8, 2005, Ismail Omar Guelleh was re-elected to a second 6-year term at the head of a multi-party coalition that included the FRUD and other major parties. A loose coalition of opposition parties again boycotted the election. Currently, political power is shared by a Somali president and an Afar prime minister, with an Afar career diplomat as Foreign Minister and other cabinet posts roughly divided. However, Issas are predominate in the government, civil service, and the ruling party. That, together with a shortage of non-government employment, has bred resentment and continued political competition between the Issa Somalis and the Afars. In March 2006, Djibouti held its first regional elections and began implementing a decentralization plan. The broad pro-government coalition, including FRUD candidates, again ran unopposed when the government refused to meet opposition preconditions for participation. In the 2008 elections, the opposition Union for a Presidential Majority (UMP) party boycotted the election, leaving all 65 seats to the ruling RPP. Voter turnout figures were disputed. Guelleh was re-elected in the 2011 presidential election. Due to its strategic location at the mouth of the Bab el Mandeb gateway to the Red Sea and the Suez Canal, Djibouti also hosts various foreign military bases. Camp Lemonnier is a United States Naval Expeditionary Base, situated at Djibouti-Ambouli International Airport and home to the Combined Joint Task Force - Horn of Africa (CJTF-HOA) of the U.S. Africa Command (USAFRICOM). In 2011, Japan also opened a local naval base staffed by 180 personnel to assist in marine defense. This initiative is expected to generate $30 million in revenue for the Djiboutian government. ^ Walter Raunig, Steffen Wenig (2005). Afrikas Horn. Otto Harrassowitz Verlag. p. 439. ISBN 3447051752. Retrieved 7 September 2014. ^ Connah, Graham (2004). Forgotten Africa: An Introduction to Its Archaeology. Routledge. p. 46. ISBN 1134403038. Retrieved 7 September 2014. ^ Universität Frankfurt am Main (2003). Journal of African Archaeology, Volumes 1-2. Africa Manga Verlag. p. 230. Retrieved 7 September 2014. ^ Simson Najovits, Egypt, trunk of the tree, Volume 2, (Algora Publishing: 2004), p.258. ^ Breasted & 1906-07, pp. 246–295, vol. 1. ^ Briggs, Phillip (2012). Somaliland. Bradt Travel Guides. p. 7. ISBN 1841623717. ^ a b Encyclopedia Americana, Volume 25. Americana Corporation. 1965. p. 255. ^ a b Lewis, I.M. (1955). Peoples of the Horn of Africa: Somali, Afar and Saho. International African Institute. p. 140. ^ Raph Uwechue, Africa year book and who's who, (Africa Journal Ltd.: 1977), p. 209. ^ Hugh Chisholm (ed. ), The encyclopædia britannica: a dictionary of arts, sciences, literature and general information, Volume 25, (At the University press: 1911), p. 383. ^ Ernest A. Wallis Budge, A history of Ethiopia, Nubia and Abyssinia, Taylor & Francis, 1928. ^ Kevin Shillington, Encyclopedia of African history, (CRC Press: 2005), p. 360 ISBN 1579582451. ^ United States Joint Publications Research Service, Translations on Sub-Saharan Africa, Issues 464-492, (1966), p.24. ^ a b A Political Chronology of Africa, (Taylor & Francis), p.132. ^ a b c d Newsweek, Volume 81, (Newsweek: 1973), p.254. ^ American Universities Field Staff, Northeast Africa series, Volume 15, Issue 1, (American Universities Field Staff. : 1968), p.3. ^ a b c Jean Strouse, Newsweek, Volume 69, Issues 10-17, (Newsweek: 1967), p.48. ^ Africa Research, Ltd, Africa contemporary record: annual survey and documents, Volume 1, (Africana Pub. Co.: 1969), p.264. ^ a b Alvin J. Cottrell, Robert Michael Burrell, Georgetown University. Center for Strategic and International Studies, The Indian Ocean: its political, economic, and military importance, (Praeger: 1972), p.166. ^ "Djibouti (09/06)". U.S. Department of State. Retrieved 2017-06-09. ^ "Introduction to MARCENT". United States Marine Corps. May 2006. Archived from the original (PPT) on October 25, 2007. Retrieved February 9, 2007. ^ "Africans Fear Hidden U.S. Agenda in New Approach to Africom". Associated Press. September 30, 2008. Archived from the original on 2013-04-02. Retrieved September 30, 2008. ^ "Japan Opens Military Base in Djibouti to Help Combat Piracy". Bloomberg. July 8, 2011. Politics of Djibouti takes place in a framework of a presidential representative democratic republic, whereby the executive power is exercised by the President and the Government. Legislative power is vested in both the Government and the National Assembly. The party system and legislature are dominated by the socialist People's Rally for Progress. In April 2010, a new constitutional amendment was approved. The President serves as both the head of state and head of government, and is directly elected for single six-year term. Government is headed by the President, who appoints the Prime Minister and the Council of Ministers on the proposal of the latter. There is also a 65-member chamber of deputies, where representatives are popularly elected for terms of five years. Administratively, the country is divided into five regions and one city, with eleven additional district subdivisions. Djibouti is also part of various international organisations, including the United Nations and Arab League. The Horn of Africa is a peninsula in Northeast Africa. It extends hundreds of kilometers into the Arabian Sea and lies along the southern side of the Gulf of Aden. The area is the easternmost projection of the African continent. Referred to in ancient and medieval times as the land of the Barbara and Habesha, the Horn of Africa denotes the region containing the countries of Djibouti, Eritrea, Ethiopia, and Somalia. Obock is a small port town in Djibouti. It is located on the northern shore of the Gulf of Tadjoura, where it opens out into the Gulf of Aden. The town is home to an airstrip and has ferries to Djibouti City, while mangroves lie nearby. The French form Obock derives from Arabic "Oboh", deformation of Oboki, a name given to the Wadi Dar'i in its middle part, upstream of its coastal delta. Ismaïl Omar Guelleh is the current President of Djibouti, in office since 1999. He is often referred to in the region by his initials, IOG. French Somaliland was a French colony in the Horn of Africa. It existed between 1883 and 1967. The French Territory of the Afars and the Issas was the name given to present-day Djibouti between 1967 and 1977, while it was still an overseas territory of France. The area was formerly known as French Somaliland. The Adal Sultanate, or Kingdom of Adal, was a Muslim Somali kingdom and sultanate located in the Horn of Africa. It was founded by Sabr ad-Din II after the fall of the Sultanate of Ifat. The kingdom flourished from around 1415 to 1577. The sultanate and state were established by the local inhabitants of Zeila. At its height, the polity controlled most of the territory in the Horn region immediately east of the Ethiopian Empire (Abyssinia). The Adal Empire maintained a robust commercial and political relationship with the Ottoman Empire. The Dikhil Region is a region in southern Djibouti. It is bordered by the Regions of Tadjoura to the north, Arta to the northeast, Ali Sabieh to the east. To the west and south, it has a long line with the Djibouti-Ethiopia border adjacent to the Ethiopia Regions of Afar Region and Somali Region. Dikhil Region is the largest Region in Djibouti by area, with a mainland area of 7,200 square kilometres, it is about the same size as Sikkim. The Dikhil Region's capital is the town of Dikhil. Arta Region is one of the six regions of Djibouti. It is situated in the south-central of the country, bordering the Tadjoura Region to the north, and the Djibouti Region to the north-east, and Dikhil Region the Ali Sabieh Region to the south, the county of Somalia lies to the east. Zeila, also known as Zaila or Zeyla, is a port city in the northwestern Awdal region of Somaliland. Tadjoura is one of the oldest town in Djibouti and the capital of the Tadjourah Region. The town evolved into an early Islamic center with the arrival of Muslims shortly after the hegira. An important port for many centuries, it was ruled by a succession of polities, including the Ifat Sultanate, Adal Sultanate, the Ottoman Empire, France until Djibouti's independence in 1977. Lying on the Gulf of Tadjoura, it is home to a population of around 45,000 inhabitants. It is the third largest city in the country after Djibouti City and Ali Sabieh. The Sultanate of Ifat was a medieval Muslim state in the eastern regions of the Horn of Africa between the late 13th century and early 15th century. Led by the Walashma dynasty, it was centered in the ancient city of Zeila. The kingdom ruled over parts of what are now eastern Ethiopia, Djibouti and northern Somalia. The history of Somaliland, a region in the eastern horn of Africa bordered by the Indian Ocean, Gulf of Aden, and the east African land mass, begins with human habitation tens of thousands of years ago. It includes the civilizations of Punt, the Ottomans, and colonial influences from Europe and the Middle East. The Issa are a northern Somali clan, a sub-division of the Dir clan family and is one of the largest clan of the Dir with a large and densely populated traditional territory. The Djiboutian Civil War was a conflict in Djibouti, lasting from 1991 to 1994 and resulting in thousands of fatalities. This uneven power sharing between the Issas and Afars led to the Civil War that ravaged the country for three long years. Djibouti is a country located in the Horn of Africa. It is bordered by Eritrea in the north, Ethiopia in the west and south, and Somalia in the southeast. The remainder of the border is formed by the Red Sea and the Gulf of Aden at the east. Djibouti occupies a total area of 23,200 km2 (8,958 sq mi). The state of Djibouti is predominantly inhabited by two ethnic groups, the Somali and the Afar people, the Somalis being the major ethnic group of the country. Zeila & Lughaya State, or Saylac & Lughaya State, officially the Zeila & Lughaya State of Somalia, is a region in northwestern Somalia. Saylac and Lughaya State was formed in 2011, claiming to be a federal state of Somalia. Zeila State was proclaimed first. It later united with Lugayhe to form the State of Sayla and Lugayhe. The territory has a total area of 8,639 km. Its main city is Zeila, which is situated on the coast. Lughaya, Asha Addo, Harirad, Jidhi and Lawyacado are the other principal cities in the region. Most residents of the region belong to the Somali ethnic group, Samaron(Gadabursi) clan Family. 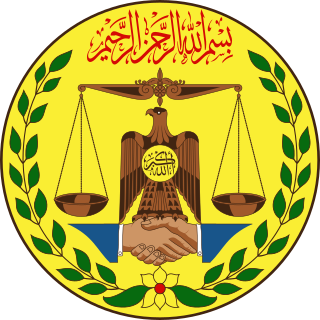 It now has united with Somaliland and has dissolved in late 2017.